What exactly is female? What is woman? How do we know this? Who decides these things? Can one opt out of such categories? Are these the only choices? Sometimes sweeping categories don’t exactly fit. What happens if my round peg doesn’t fit into the square hole of social options? How do I reconcile changing shape to fit? Can I hold this shape forever? No. 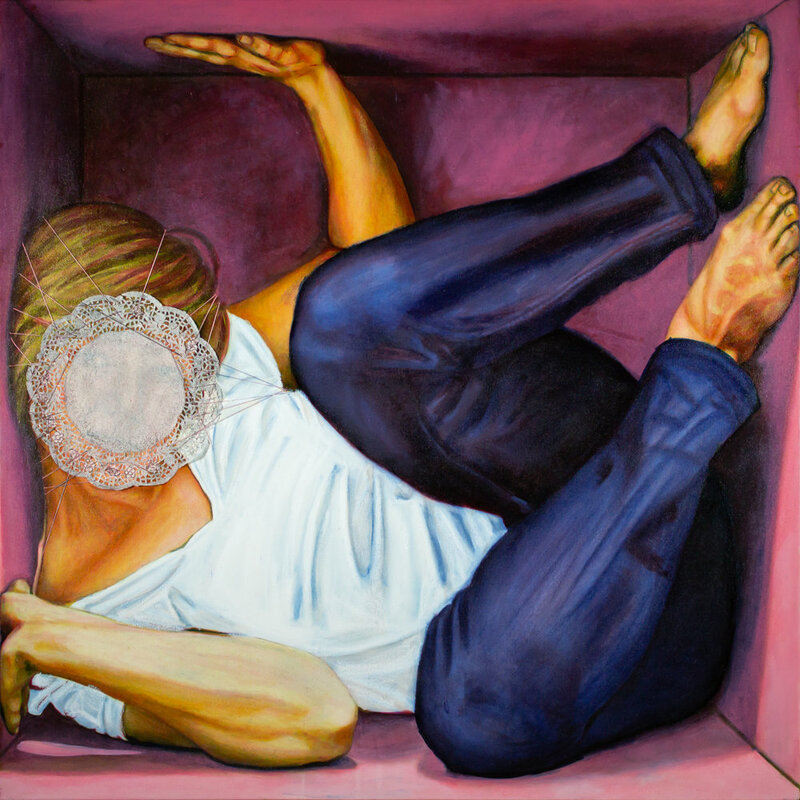 No more cutting off, or stuffing in, parts of myself to fit into this single pink box option. It’s not me at all. How do I get out? If I find my way out, where will I be?